SBI General is number 1 in "Under-served market"
The Indian Insurance Awards 2016- Fintelekt have been conceptualised to honour performance, growth and excellence in the Indian insurance industry. 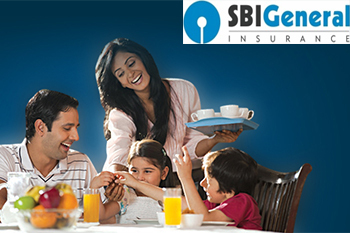 SBI General Insurance bagged two awards, of the total 11 demarked for the General Insurance sector. SBI General was named as the best General Insurance Company in the award category “Under-Served Market Penetration” and “Commercial Lines Growth Leadership.” In the first award category, SBI General Insurance was recognized for its ability to reach out to the masses, across markets. Meeting the awards nomination criteria, SBI General Insurance operates in all the 15 under-served states and union territories. In FY15-16, the company has managed to achieve the highest growth rate as compared to its competitors, with 63% growth in average premium generated from under penetrated states, making it the winner of this award in the medium/ small category. In the second award category, SBI General Insurance has been pronounced as the leader in Commercial Lines Growth among medium/small companies owing to the largest number of policies issued in this segment and a high growth rate of 25% achieved as compared to last year. The Indian Insurance Awards- 6th edition was held on 24th June, 2016 in Mumbai. The Indian Insurance Awards have been established to recognize and honour the achievements of insurance companies in India that have met measurable and tangible business objectives.